The Contra Costa Tobacco Prevention Project (TPP) is dedicated to reducing and ultimately eliminating tobacco use and exposure in the county. This is accomplished by developing projects that change the social and cultural norms related to tobacco use in the community, particularly among youth, and to institutionalize community support for the elimination of tobacco use. The Project staffs the Tobacco Prevention Coalition, and works with other tobacco prevention advocates in accomplishing its goals. Our successes include a youth mobilization initiative, TIGHT (Tobacco Industry Gets Hammered By Teens) and the passage of our Tobacco-Free Youth Ordinance (TFYO), which eliminates tobacco self-service displays and limits tobacco advertising. Business Owners and/or Landlords information. Tobacco use remains the leading preventable cause of death in the United States, causing more than 440,000 deaths each year and resulting in an annual cost of more than $75 billion in direct medical costs. Nationally, smoking results in more than 5.6 million years of potential life lost each year. Approximately 80% of adult smokers started smoking before the age of 18. Every day, nearly 4,000 young people under the age of 18 try their first cigarette. While the overall smoking rate is low (approximately 10%) for Contra Costa County, some sub-groups have much higher rates. Data show that communities of color; lesbian, gay, bisexual and transgender (LGBT) populations, and people of low income are heavily targeted by the tobacco industry and tend to have smoking rates higher than the general population. 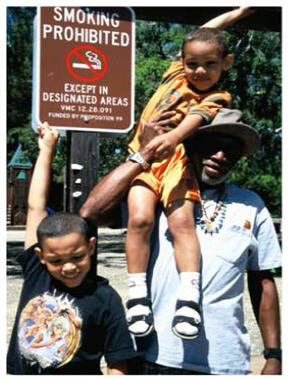 In Contra Costa, 6,569 people die every year from smoking related diseases. Smoking costs an estimated $228 million annually in medical expenses in Contra Costa County alone. Learn more about the health impacts of tobacco use by exploring the options on the left.